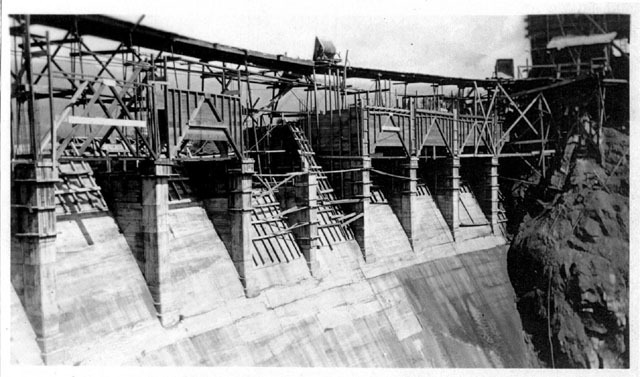 Here is the dam in 1920 under construction, the first of the Los Angeles County Flood Control District's dams. Soon after the dam was built it filled with water. The dam was designed for both flood control and water conservation. It also served as the main road between La Canada and Pasadena for many years. Notes the vintage vehicles parading across the dam. 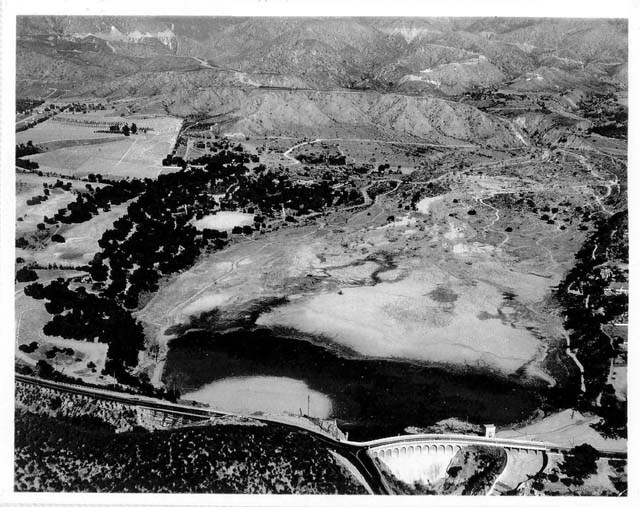 Here's another picture of the conservation pool behind the dam in the early years. This picture shows the natural character of the mesa eventually occupied by Jet Propulsion Laboratory. 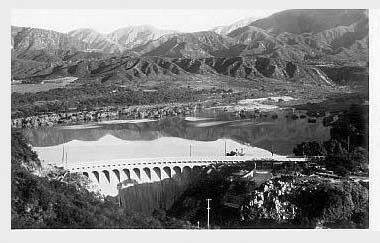 An aerial view, taken December 18, 1935, shows water flowing into the Devil's Gate Dam basin from La Canada through Flynt Canyon Wash in the lower left. The dense oak grove with the clearing in the middle is also clearly depicted.